You made a resolution to build a living wall last year, but your plans never got off the ground. So what? 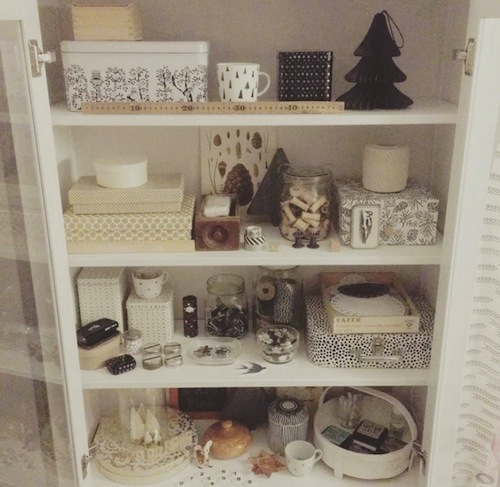 Ditch your craft-room plans and try out one (or all!) of these easy design resolutions that will improve your small dwelling and home life. Your Instagram feed will thank you. The holidays are a great time to grow jealous over your cousin’s McMansion and its sprawling mudroom with built-in storage. But you don’t need a proper foyer to set up shop for organization as soon as you walk in the door. If you can spare the square footage, slide in a storage bench to hold outerwear accessories and a welcome mat for resting wet rain boots. 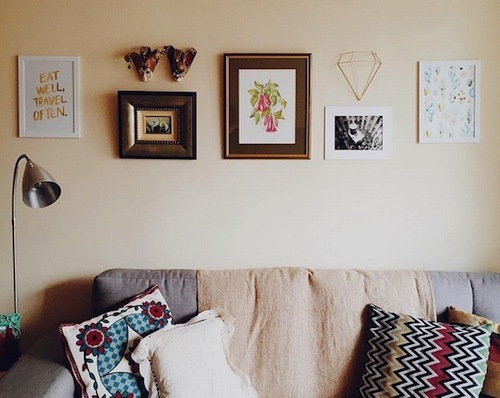 At the least, hang some decorative hooks and a floating shelf for some small-scale art. Looking for more storage room? Vertical units are your new BFF. That bar cart doesn’t have to corral booze. 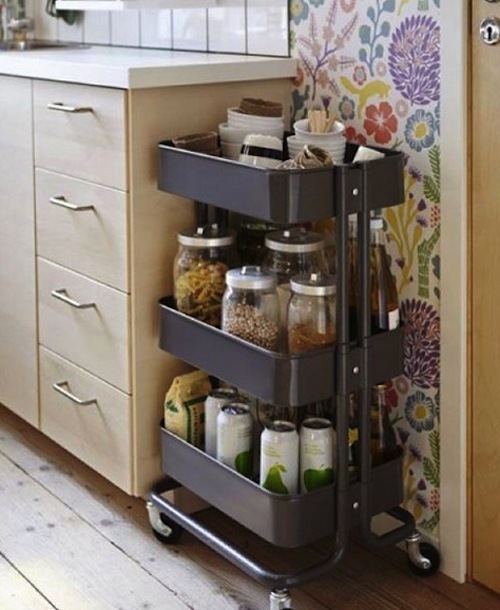 It’s there for your kitchen goods and more. (This writer uses one for housing a rather large collection of toiletries.) Narrow shelving units can squeeze in the tightest of niches for goods like books, DVDs and more. Despite what you read in that book your mom gave you for Christmas, you don’t have to fold your clothes the Marie Kondo way. Just divvying up your underwear from your bras in your unmentionables drawer will save your life in the mornings. 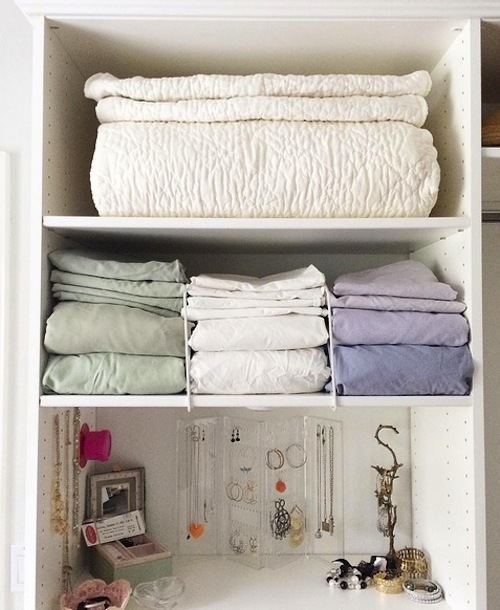 Forget measuring and shelling out cash for expensive drawer organizers. That is, unless you really want to. 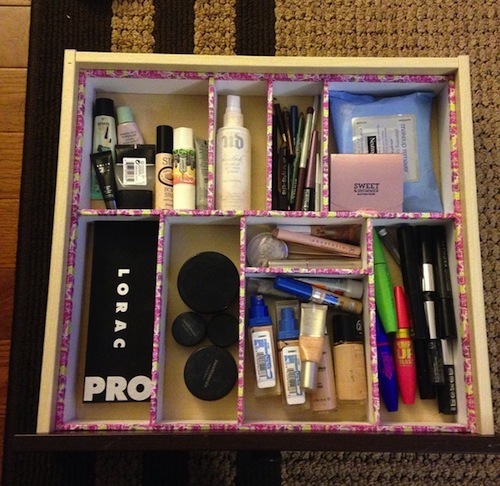 Cutting up pieces of a cardboard box and taping them in your drawers will work for dividers. If you want to go above and beyond, cover the top edges with washi tape. You’ve got a lot to show for generous takeout orders of Pad Thai and green curry. Betting chances are that you don’t need more than a dozen containers at a time. 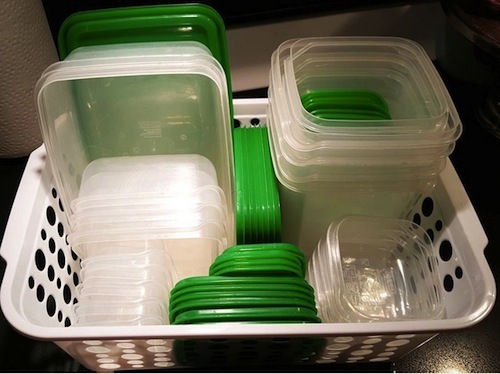 Sort out which containers have lids and purge the rest for more precious kitchen cabinet space. Those prints you ordered on Etsy aren’t stolen. So let them see daylight as you intended… on your walls! Quit using custom framing as an excuse. Prints look swell with washi-taped corners. Forfeit your goal of a gallery wall full of faux taxidermy. Mix different forms of media, like unframed prints, wire sculptures and stretched-canvas paintings for a memorable design. Your great aunt loves showing off her pottery on open shelves in your kitchen. This is a style you can easily cop and make your own. Floating shelves are great, but bookshelves with open fronts will work, as well. 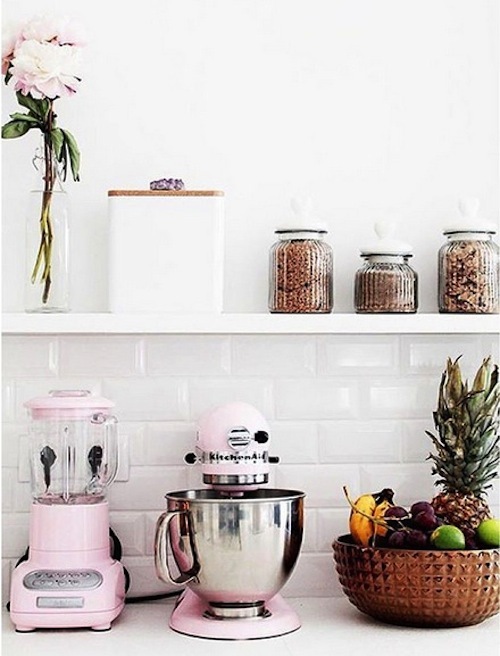 Put the stuff you’ll use least on the top shelf and the stuff you use the most often on lower shelves for ease. 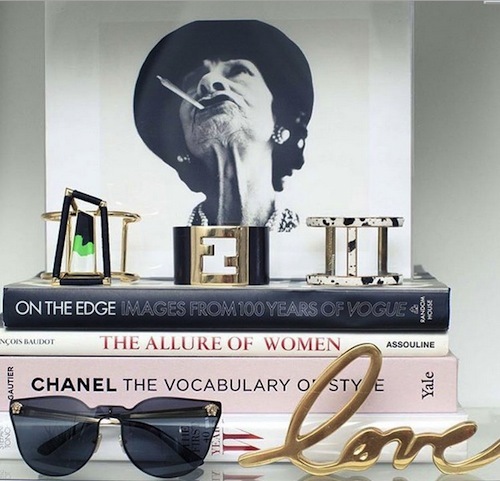 Glam patterned boxes will drastically axe any tendency you have toward clutter on said open shelves. 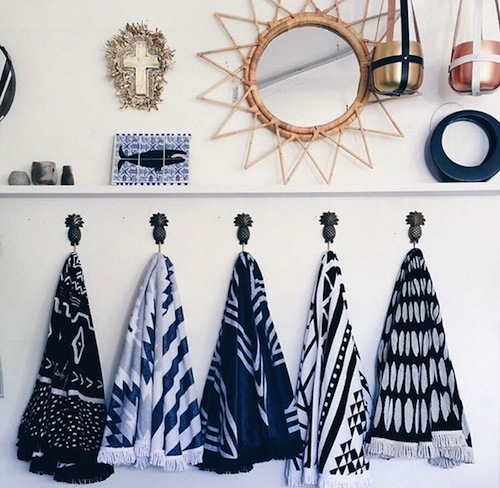 Invest in some nesting ones so your storage needs won’t dictate your décor scheme. That pair of vintage Dior sunglasses you’re afraid to tote around on the reg deserve a place in the sun. Save them from sand scratches and give them a spot on a stack of your current reads on a bedroom bookshelf. 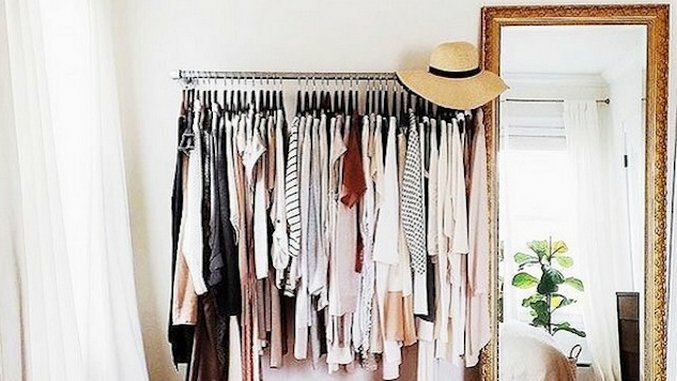 A pretty dress or standout coat makes an equally chic statement on the back of a closet door.